Well, we left early this morning, after a fabulous day yesterday—our last full day in Orlando. We had a great regional, almost a thousand people! Many of them stayed after attending leadership, and you could pick most of them out. They were the ones who looked happy but also looked like they were participating in Day 4 of a fun-filled but full event. Sterling and I were two of them! I had to change into my flat shoes as we left the convention center, and our walk back to the hotel was definitely slow! Our Orlando regional had a nice mix of people—in addition to the leadership layovers (is it OK to call them that? I hope so), there were several hundred who were at a regional for the first time, along with many guests and lots of demonstrators who have been with us before and recognize the value of regionals. In fact, I was talking to a group of demonstrators who have actually been with us almost as long as I have, and we commented that we had all learned something during the day that we didn’t know before. For instance, I didn’t realize that you could emboss on our vinyl or how to create faux leather with embossing powder. That’s what is magic about our events—there is always something new to learn and try. I demonstrated stenciling at leadership, and wanted to continue with that theme at the regional. When I left for leadership, I hadn’t figured out what I was going to demonstrate at the regional yet, so I packed up a few things, hoping I’d be able to come up with just the right project. I knew I wanted to do Valentine projects for my family, so I threw in several sheets of the new Pink Flamingo Designer Series paper. Then, once I got to Florida, I saw the Box #2 and knew boxes would be the perfect container for a little Valentine treat. Shanna likes bolder, bright colors, so I knew that box was hers; the other girls tend to like the more traditional Valentine colors, so I went with those shades for the other boxes. When I sat down on Friday night to focus on the boxes, it felt a little like one of those contests or challenges when they give you a fairly small number of things and tell you that you’re limited to only those items. I definitely missed my stamp studio—there were several times when I wished for something I didn’t have. The stenciling and ribbon worked nicely (I dyed the new Organza ribbon with craft ink then heat set the ribbon, curling some of it, with the heat tool), and I liked what I came up with. Of course, I will be adding hand stamped tags to each of these boxes before I send them off! I am thrilled with the way both leadership and the regional went—it’s not often that I look back at an event and can’t think of one thing I’d change, but based on everything I heard and everything I saw, I think this is one of those times—thanks to all who participated in various ways. 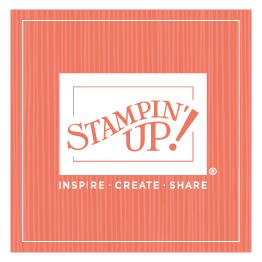 Although I’m physically tired and happy to be home, I am emotionally and mentally invigorated because I just spent almost a week with people I love very much—Stampin’ Up! employees and our demonstrators!